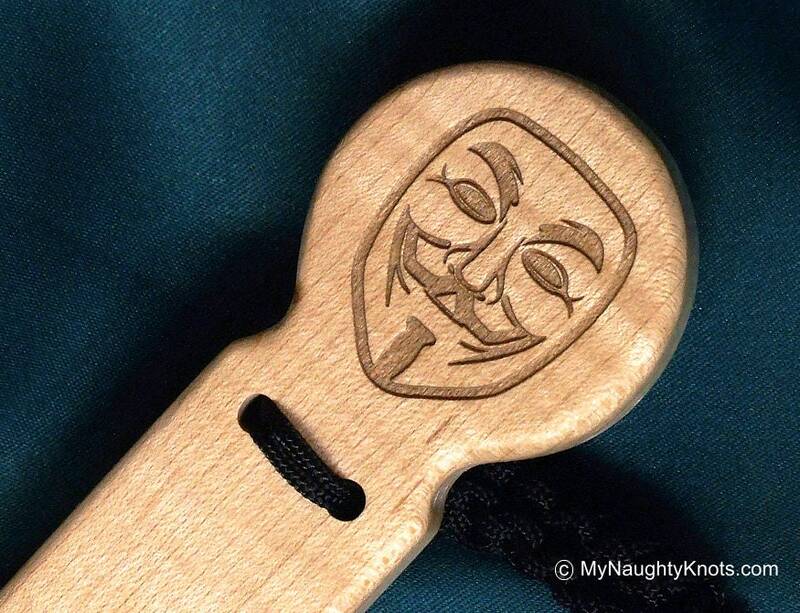 Anonymous mask engraved on pummel of this black flogger. 7” handle with 72 sixteen inch nylon cord stingers with sealed ends. This flogger, for adult play delivers a nice sting to the backside of a treasured submissive or slave. Available for immediate shipping. Makes a great gift for Master or Mistress. The wood handle and our specially designed attach point of the falls gives full control of this great little flogger. There is no sloppy swishy motion of the falls but a precise firm controllable, smooth flow. A great feel and balance! These are unique beautifully crafted stingers, one to be proud of and enjoyable to Dom and sub alike at play parties and events.